Austin Air Replacement HEPA Filter, Carbon Filters and Pre-Filters for Austin Air Bedroom Machine. Austin Air Bedroom Machine Filters There is 1 product. 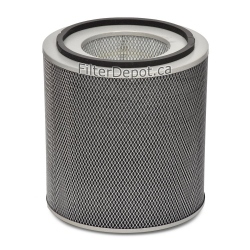 Austin Air Bedroom Machine Replacement Filter contains replacement True HEPA and Enhanced Activated Carbon Filters for Austin Air Bedroom Machine air purifier.